Brand new cinematic turn based strategy! The universe is built off of the story established in our first project, Bladestar, but takes it much deeper with warring factions, double crossing corporations, privateers, and galactic governments. 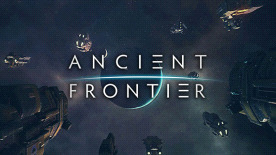 Take control of massive fleets of capital ships and support craft and navigate the rich multi-faceted story of Ancient Frontier- the future of war. Will you defend the frontier? Must be able to display 1024x768 resolution or higher. Ensure your Microsoft Visual C++ Libraries are up to date if you get runtime errors. © 2016-2018 Fair Weather Studios, LLC. All rights reserved.